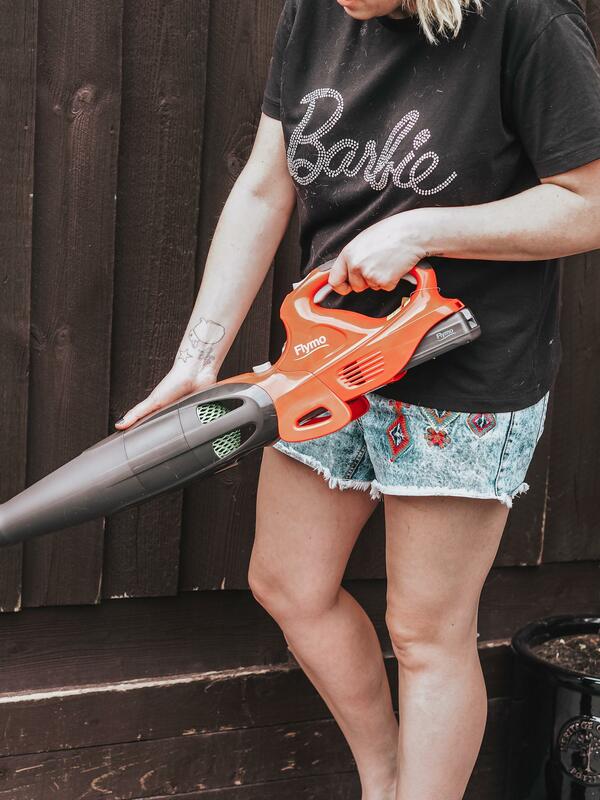 There is nothing better than doing a bit of gardening on a Sunday afternoon. 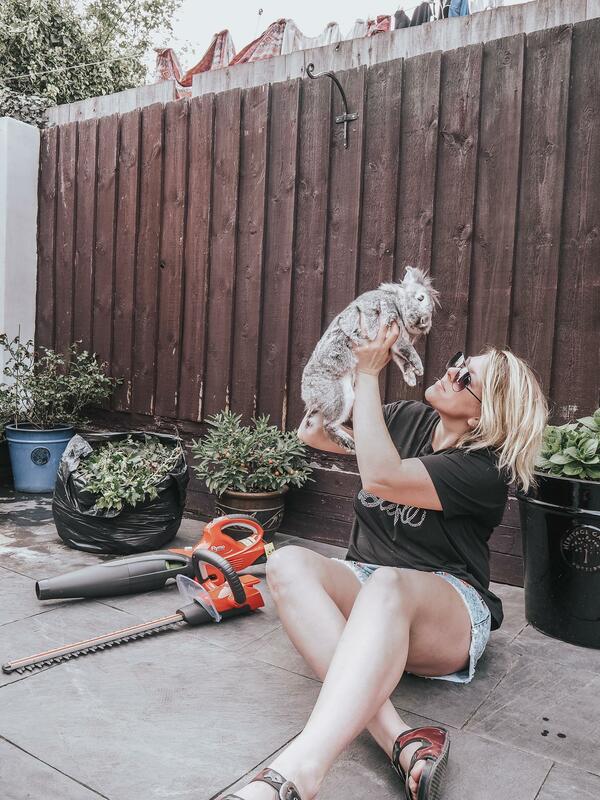 I never used to be bothered about gardening tools and plants but as soon as we bought our house, I wanted to be outside with my green fingers, enjoying the sunshine. As winter is not a time I like to be outside, it is nice that Spring has arrived and that we can give the garden some much needed TLC. To help with my endeavour, Flymo sent a couple of key pieces to help with my horticultural buzz! There is a slight Ivy problem in our garden and if left untouched, it completely takes over. 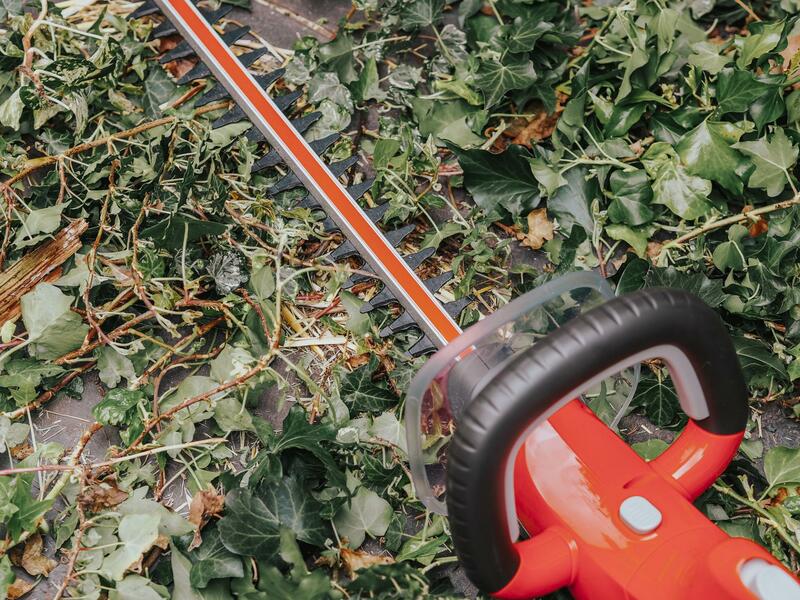 Luckily though Flymo has a cordless hedge trimmer which is perfect for tackling this! Once the battery is charged up (we charge ours in the shed), you pop it in, put on some safety glasses and off you go! 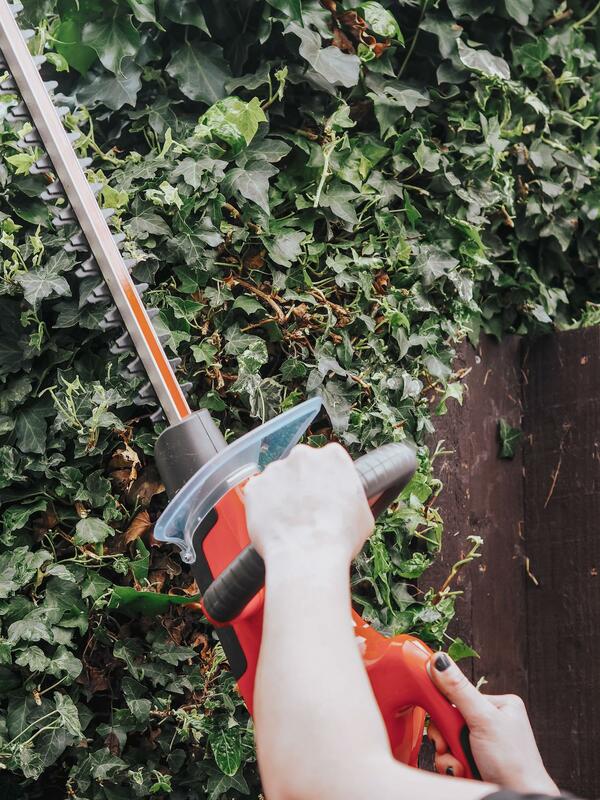 Normally by hand with garden shears, this job would take ages but with the hedge trimmer, it takes minutes! 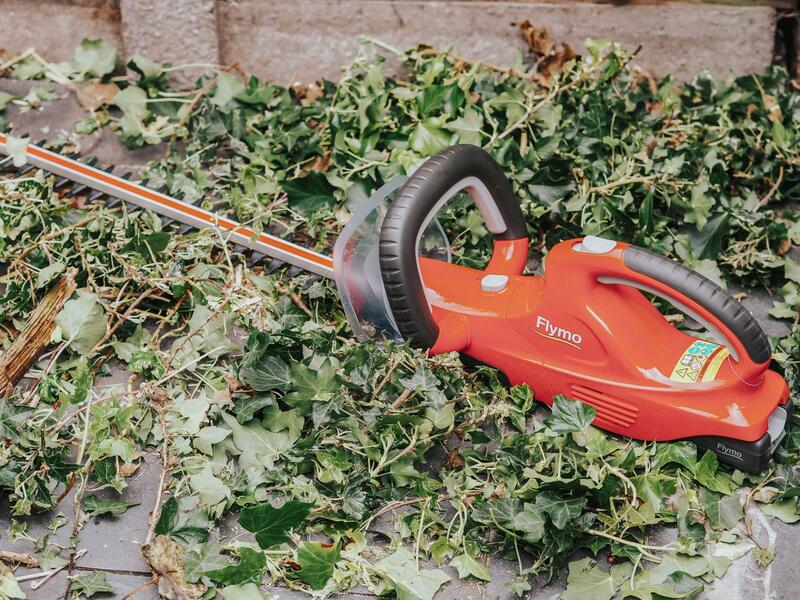 It’s also good for small branches which were underneath the Ivy and the trimmer also creates a clean and even shape too. We don’t have a lawn in our garden but there is a big problem with straw! The stuff gets everywhere and even though it’s swept up regularly, it still finds its way into the gully we have around the edge of the garden. 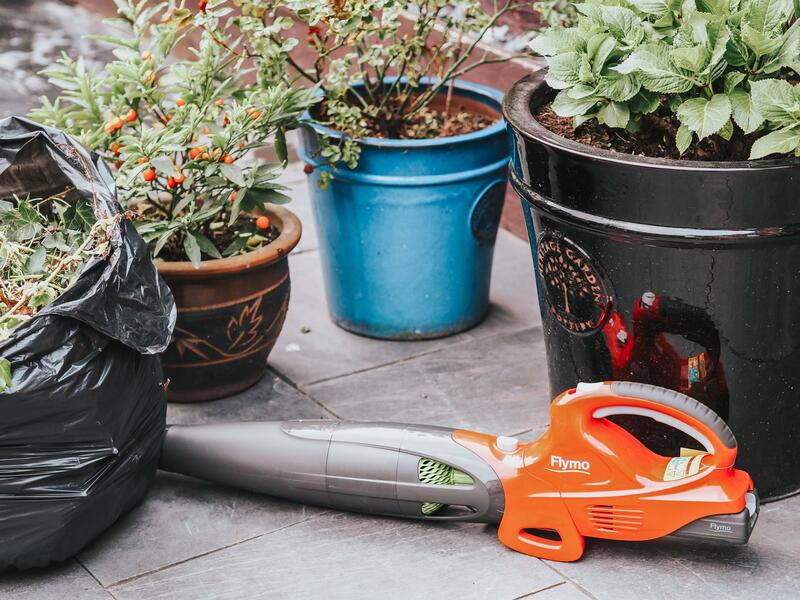 We do try cleaning it out by hand (which takes ages) so I wanted to give Flymo’s leaf blower a go. I didn’t know how powerful it would be but it is ideal for helping get the job done quickly. By using a gardening fork to loosen up the stones in the gully, I then blew all the leafs, straw and other bits into one corner and swept it up. It’s good on cobwebs too for those who do not like spiders. 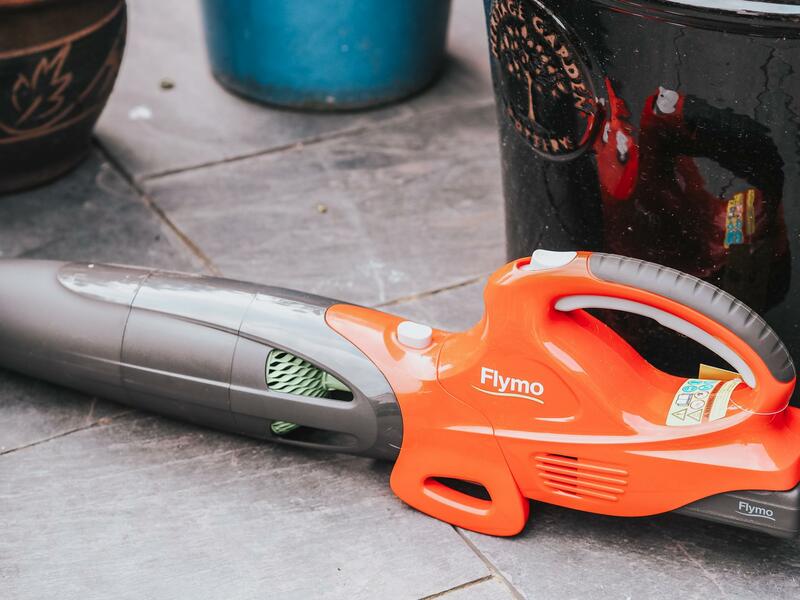 If your garden needs some love, Flymo is there to help. The products are easy to use and great to store away when not needed. 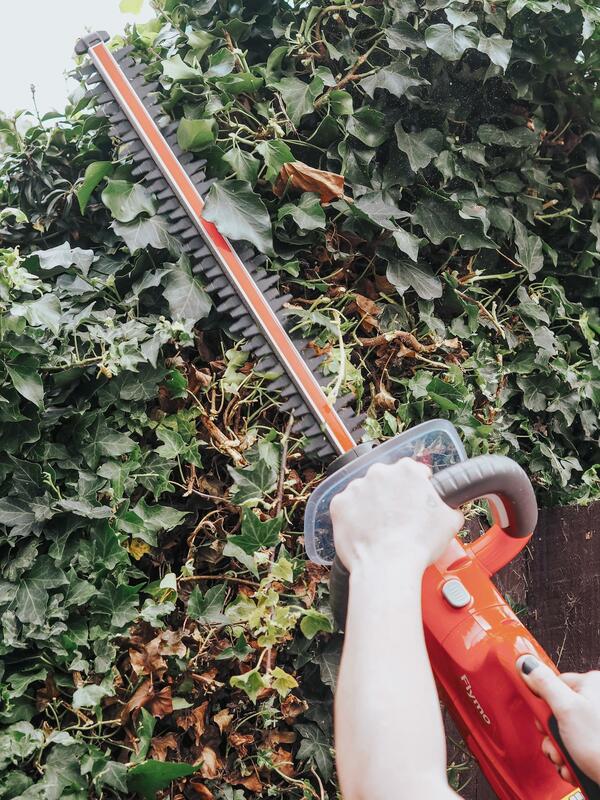 I can’t wait to use them again but need to let the Ivy grow back first. See what other great pieces Flymo have here. DISCLAIMER: Flymo gifted me these items for an honest review.